Overall Objective of this proposal is to create a sound foundation for a non – governmental, region-wide Caucasian Anti – Torture Network focusing on fighting Impunity through strengthening and developing links between comprehensive multi-disciplinary rehabilitation services, prevention and accountability with strong advocacy and communication strategies. Specific objectives are: (1) To develop multi-disciplinary rehabilitation services for torture survivors across the entire Caucasian region, (2) To strengthen advocacy campaigns, reporting, research and capacity building through skills-based training/educational programmes and awareness campaigns for implementation of international standards on prevention of torture (UN CAT Articles, International Humanitarian Law, Istanbul Protocol, WMA Declarations and Resolution, CoE Standards, OP CAT Mechanisms, etc); (3) To strengthen accountability through implementation of standards of documentation of torture according to the Istanbul Protocol and strategic litigations in national, regional and international Courts for restoration of victim rights, remedy and reparation, and prosecution of perpetrators. During the implementation period the Caucasian Anti – Torture Network strengthened thought of establishing new initiatives on Human Rights Defender’s organization that registered in Georgia and will be operated also in other Countries and Regions. 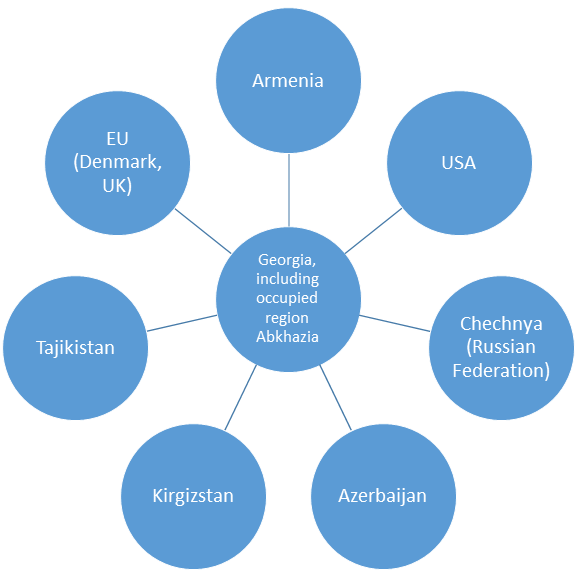 The multi-disciplinary services for victims of torture strengthened in Georgia, including Abkhazia, strengthened in Armenia and Chechnya as well, activities on prevention and accountability were increased in whole indicated region, including Azerbaijan; Strong communication and advocacy strategy was developed between networking partners. The action linked to the other torture related projects in Central Asian Region with developing the networking with international partners involved in the implementation of this action. The Target groups were torture victims according to the UN CAT Article 1 and 16, European Convention of Fundamental Human Rights and Freedoms: Article 3 and 13, and victims of the violation of international humanitarian law, including family members and second generation. Special attention was paid to women and children who have experienced sexual abuse, captivity, torture, domestic violence, slave labour experience and trafficking within the military conflict regions. Specific attention was paid to detainees, prisoners and former prisoners who have experienced torture, and prisoners with mental problems, especially women and juveniles. The health and legal professionals from the NGO and State sectors, human rights activists and journalists were included in the target group for the training education programme. Countries and Regions covered by this action and linked with other actions on issue of torture and impunity: Action covers Caucasian Region, as well as linked with Central Asian Programs and Agencies from European Union and USA that are involved in the implementation too.